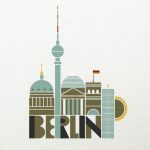 The International Conference on Management, Economics and Finance which is held in Berlin, Germany on 15th till 17th of March 2019 is keen to create a platform for the academics, researchers, engineers, industrial participants and students to share their research findings with the global experts. All full paper submissions will be peer reviewed and evaluated based on originality, technical and/or research depth, accuracy and relevance with the theme of the conference. We invite full and developmental papers, extended abstracts as well as case study presentations in English. Please check the Author guidelines for more details. All accepted extended abstracts and papers will be published in the conference proceedings and delivered during the conference. – Please submit your papers via ONLINE SUBMISSION FORM. – For more information about the conference, you are welcome to contact the organizing committee directly via info [at] icmef.org . To make sure that your submissions are received and reviewed, please submit as easy as possible. By submitting a paper, all authors also agree that at least one author would attend the conference. Kindly forward the same to your friends, colleagues and ask them to join the conference. The aim of the International Conference on Management, Economics and Finance is to bring together scholars, students, and administrators from different countries, and to discuss theoretical and practical issues in all fields of Management, Economics and Finance.